The Air Force's plan to destroy HAARP has detractors. "While the Air Force neither wants nor appreciates the unique value of HAARP, users from several federal agencies, laboratories and universities, and friendly nations such as Canada, Britain, Taiwan, South Korea, Sweden and Norway, are eager to use its unique resources, which would further spread American influence and leadership," Dennis Papadopoulos, a professor of physics and astronomy at the University of Maryland, wrote in an opinion piece in the Alaska Dispatch. HAARP cost more than $290 million to build, much of it earmarked by late Sen. Ted Stevens, R-Alaska, who had great influence over the U.S. defense budget during his time in Congress. The site was host to numerous projects over the years, including the creation of the first artificially produced aurora in 2005. The site's generators now require remediation to meet the environmental standards set in the Clean Air Act, an expense no one seems keen to take on. 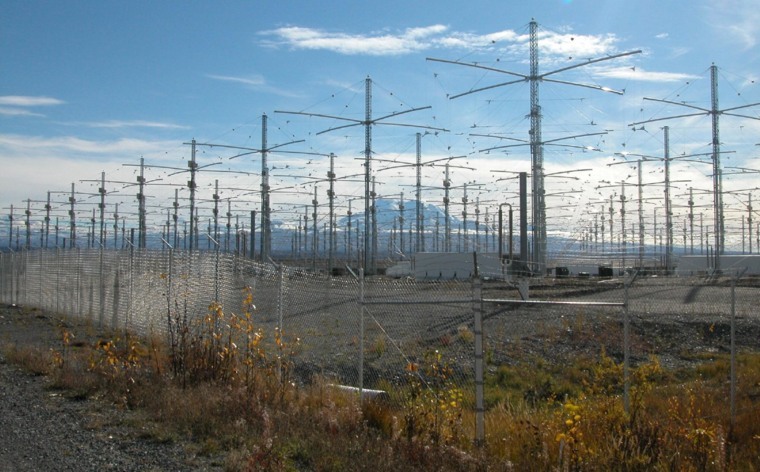 Conspiracy theorists think HAARP's purpose is far more sinister than meets the eye. The program has been blamed for everything from global warming to natural disasters to mysterious humming noises in the sky. Name a natural phenomenon, and someone probably suspects HAARP of being behind it. Online, conspiracy theorists suggest that HAARP was to blame for the 2011 earthquake and tsunami in Japan; the Moore, Oklahoma, tornado of 2013; a landslide in 2006 in the Philippines; and many more natural disasters. Other conspiracy theories hold that HAARP controls people's minds or is capable of altering the very fabric of reality. Follow Stephanie Pappas on Twitter and Google+. Follow LiveScience on Twitter, Facebook and Google+. Original article on LiveScience.